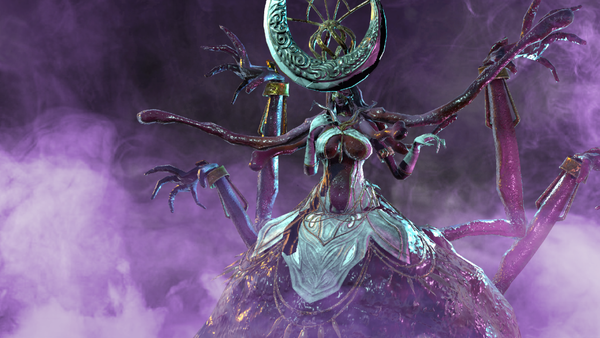 PQube (London, UK) - February 21st, 2019 - PQube and developer Anti-Gravity are excited to release Hell Warders for Nintendo Switch, PlayStation 4 and PC/Steam today! Choose your hero and stand between the forces of hell and the last bastions of humanity in this red-hot horde defense! The Xbox One version of the game is set to release next month on March 20th. 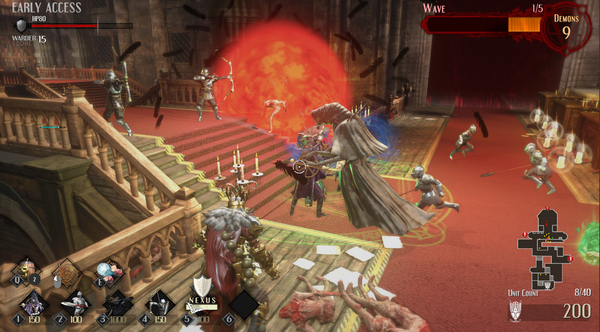 The strategic factor of deploying defense units mixed with the action RPG aspect of the game makes it an exciting cocktail for everyone that enjoys the dark and diabolic theme of the Hell Warders universe. Set up archers, knights, mages and catapults - choose their position, upgrade their abilities and create the strongest resistance possible! 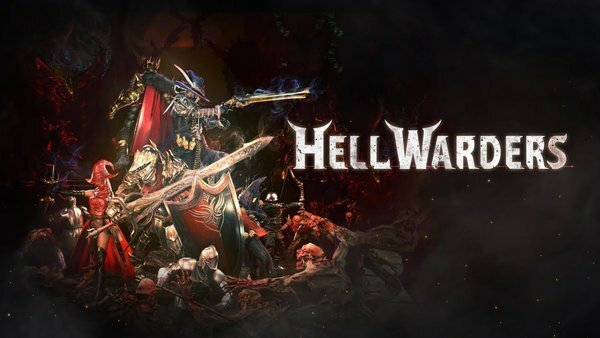 Hell Warders was originally supposed to launch on Jan. 17th, 2019, but got pushed back due to a minor issue. It does indeed look like the issue was a small one, as PQUBE has confirmed that the game will now launch on Feb. 21st, 2019. Hell Warders was originally set to release two days from now on Jan. 17th, 2019. PQube has sent out a Tweet saying that's no longer the case. We regret to inform you that the planned release of Hell Warders on January 17th will need to be delayed slightly due to some minor issues. We will announce a firm and solid release date within the next couple of weeks along with further exciting details! No word on the new release date at this time, nor were there any specifics given on what caused the delay. Hopefully we have new release date info to share soon. 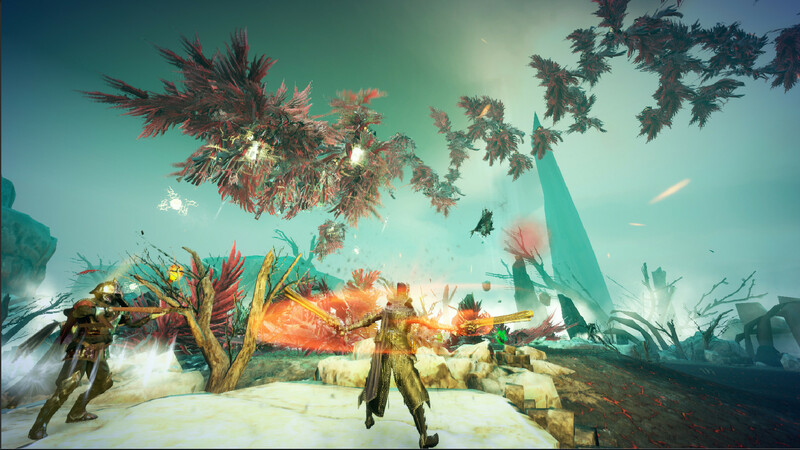 PQube (London, UK) December 5th, 2018 - PQube and developer Anti-Gravity have been writing letters to announce that the action hero-defense Hell Warders will release for Nintendo Switch, PlayStation 4, Xbox One and PC on January 17th, but they're always catching fire! Hell Warders is part of a new sub-genre known as “action-defense.” You and your friends are tasked with defending the Nexus from unrelenting demon assaults. Play as Ash the Ember Knight, cannon-wielding specialist Dead Eye the Tainted or crafty hero explosives specialist Samson III in teams of four to scout for power-ups and create an effective (and deadly) defensive perimeter. Fight alone or alongside soldiers with distinct abilities to withstand the might of the demon horde across a number of thematic maps – each with its unique environmental twist. Set up archers, catapults, and mages – and carefully choose where to place them for maximum defensive cover. However, defending only goes so far: The demon army waits for no man and will ruthlessly attack from all angles! Vanquish demons with powerful weapons, unmatched hero skills, and giant gargoyles! We learned awhile back that Hell Warders was coming to Switch, and now we have confirmation on a Japanese localization. It'll be handled by Oizumi Amuzio, and is due out sometime in 2019.